Item # 314656 Stash Points: 5,495 (?) This is the number of points you get in The Zumiez Stash for purchasing this item. Stash points are redeemable for exclusive rewards only available to Zumiez Stash members. To redeem your points check out the rewards catalog on thestash.zumiez.com. 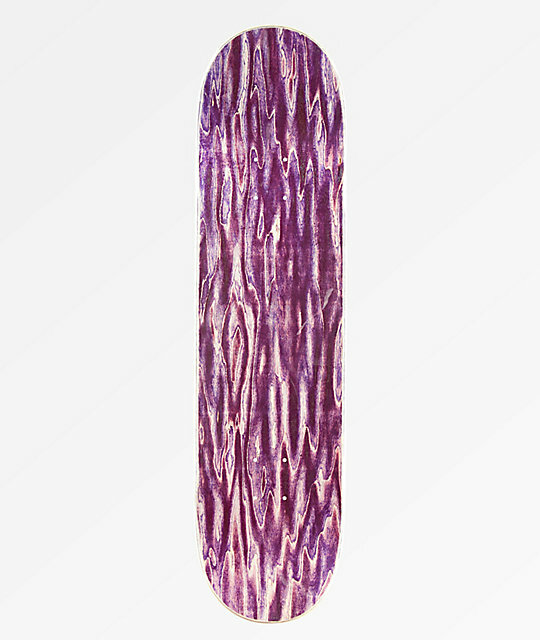 For moderate concave and quick pop, grab the Fortune Manny Dream Catcher 8.25" Skateboard Deck. Legendary skater, Manny Santiago's pro-model offers short but wide kick tails to create quick pop without sacrificing tail, nose stalls, and slides. Finished with moderate concave throughout for added flick strength, this deck is ready for whatever flip trick you can imagine. 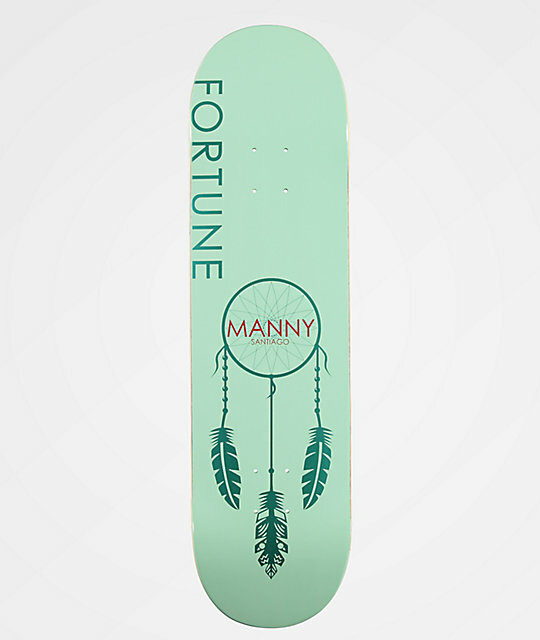 Manny Dream Catcher 8.25" Skateboard Deck from Fortune. Official Manny Santiago pro model. Wide and mellow kick tails.